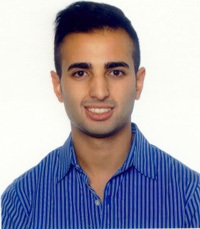 Matthew Collis is the Marketing Manager at IXACT Contact Solutions Inc., a leading North American real estate CRM firm. In addition to overseeing many of IXACT Contact’s key sales and marketing programs, Matthew works with REALTORS® to help them achieve their real estate goals through effective contact management and relationship marketing. IXACT Contact is a web-based real estate contact management and marketing system that helps REALTORS® better manage and grow their business. The system includes powerful email marketing capabilities and a professionally designed and written monthly e-Newsletter. Sign up for a FREE 5 week trial today at www.ixactcontact.com! If you've written off email marketing as being ineffective, you may want to think again. 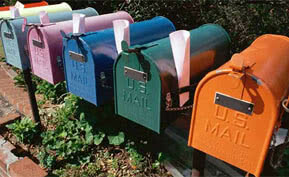 Email is one way you can stay in touch with your real estate database and remain “top of mind,” quickly and easily. It’s much more cost effective than many other marketing channels, such as direct mail and print advertising, and much of it can be automated. It costs five times as much money, time, and energy to acquire a new client than to retain an existing one. A loyal client can flow a wealth of referrals and repeat business your way – but only if you continue to keep in touch with them, provide value, and build and maintain a long-term relationship. 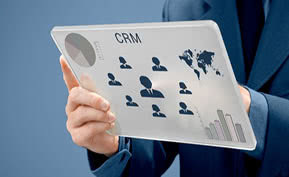 To generate a steady stream of referrals and repeat business, a real estate CRM is a must. What is the community saying about the ROI of CRM investment? Organization and time management are key in real estate sales, like they are with many other professions. But REALTORS® have lots of details to think about, and so much going on all at once, that sometimes things fall through the cracks. Well, that’s one of the reasons real estate customer relationship management (CRM) systems exist – to help you get and stay organized. 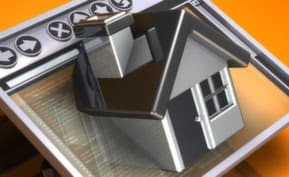 Here are five ways a real estate CRM will get you more organized. Laura, what industry are you in? Hi Omar, it depends what industry you're in. For real estate, IXACT Contact is one of the best CRMs in the industry. Which is the best CRM for a small company to use for prospecting only? Can you recommend a Mac-compatible CRM solution which works in Outlook? Check out IXACT Contact. It's $34.95/month and account sharing with one or more team members is free. It also comes with a professionally designed and written monthly e-Newsletter - www.ixactcontact.com. For years now businesses have turned to Microsoft Outlook as the keystone of almost all their email, calendar and other organizational needs, but, believe it or not, there are many tasks the old email client falls short in. In this feature piece Matthew Collis of IXACT Contact details why Outlook is poor fit for the CRM needs of a modern real estate business. IXACT Contact is a web-based real estate CRM and marketing system that lets Realtors track and manage their leads and keep in touch with their entire real estate database. The system includes drip marketing campaigns, a monthly e-Newsletter, and much more. Real estate agents can also manage all of their transactions and contracts in IXACT Contact and organize their business, so they stay proactive and in-control. Sign up for a FREE 5 week trial today at www.ixactcontact.com!